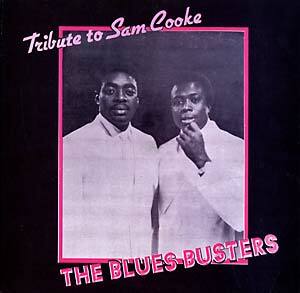 "Phillip and Lloyd professionally known as the Blues Busters met Sam Cooke in the early 60's. They went on tour singing as the supporting act with Sam Cooke in various countries. Being so close to Sam Cooke they learnt a great deal. Sam Cooke wrote them a few songs and taught them a few techniques about singing." Tracks: "Bringing it on Home to Me," "You Send Me," "Win Your Love," "Wonderful World," "Chain Gang," "Tammy," "Nothing Can Change This Love," "Love You Most of All," "A Change Is Gonna Come."